1. The Appleseed Cast- Sagarmatha**. As much as I love this band, I had fairly low expectations for this album. They had peaked with their third album(s), 2001’s Low Level Owl, and while I enjoyed their two albums since, I didn’t expect a return to form. Did they ever prove me wrong. While not as original as Low Level Owl, Sagarmatha is a far more aggressive post-rock masterpiece. The band originally planned to do an all-instrumental (for the first time) EP, but the creative juices were flowing and ended up with a 10 song, 53 minute epic LP. There are vocals on most songs, but they are effects-laden, and the lyrics are mostly inconsequential. The focus here is on the guitars, and they are the most intense the band has ever recorded. This is probably the least accessible of any of the albums in my top 10, but if you enjoy post-rock, I could not recommend this album more. I of course always encourage you to buy the vinyl version of any album, but especially this one. You get a bonus track, far superior cover artwork, and all-around stunning packaging. The CD and digital album cover for Sagarmatha is laughable, so please ignore it if you see it. I am going to highlight the artwork differences in my new blog: Buy Vinyl. 2. Thrice- Beggars**. As I recently posted, Thrice is my artist of the decade, so it is no surprise to see them high on my year-end list. 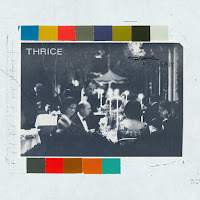 Over the last few years Thrice has mostly focused on conceptual and experimental recording, with incredible results. For this album, they went back to the drawing board and recorded a raw rock album, their most cohesive work since 2003. Lyrically, Dustin Kensrue has never been better. From the title track: “As you lie in your bed, does the thought haunt your head, that you’re really rather small; if there's one thing I know in this life, we are beggars all.” The lyrics throughout are so deep, intense, and thoughtful I really have a hard time ranking this behind Sagarmatha, in which the lyrics are mostly without purpose. Dustin keeps the vocal balance he has shown on Thrice’s more recent work, equal parts melodic singing, yelling, with a little screaming. For those of you still dismissing Thrice as a punk-metal band, please open your ears and check out their current single from this album, “In Exile.” While the album came out in August digitally, I just recently got the vinyl in the mail a couple days ago. The artwork and liner notes are stunning and add so much to the music. I will also display this album on my Buy Vinyl blog soon. 3. 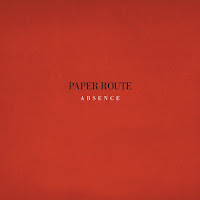 Paper Route- Absence. I had been following this Nashville band for years before they finally released a full-length album in 2009. In 2005 or 2006 they released a few free songs on their website, and they were pretty interesting, in the vein of the Postal Service. In 2007 I saw them play live for the first time, and they blew me away. They released their 2nd EP in that year, and then their third EP last year in 2008. The members originally recorded as the rock band "For All the Drifters" before giving that up and experimenting with a variety of recording techniques. Electronic music, yet driven by guitars. I have read of them being compared to current popular indie band Passion Pit, but I find Paper Route to be far better and far more diverse. At time they sound like 80’s pop music, but when at their best (Carousel and Last Time) they are outstanding melodic rock. 5. 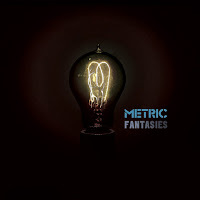 Metric- Fantasies*. The band has been around for awhile, but Metric was my new discovery for 2009. High-energy dance rock with confident female vocals. I downloaded it off emusic on a whim and I am glad I did; the most fun album I heard in 2009. 6. 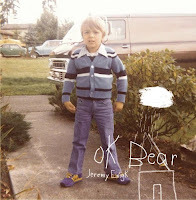 Jeremy Enigk- OK Bear*. Enigk's 3rd LP, and like with his 2nd one, drastically changes his sound. Vale Oso was recorded in Spain with a group of musicians who were apparently big SDRE fans. The album doesn't necessarily sound like SDRE, but you can hear the influence in the guitars. Most of the songs are short and simple, especially when compared to World Waits or Return of the Frog Queen. Focus of the album is once again Jeremy's unique voice, as it should be. Vinyl version is unfortunately only available in Spain, and cost a fortune to import. I got it on emusic, the economical route. 7. 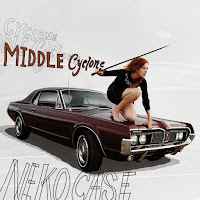 Neko Case- Middle Cyclone*. The first album on my list you would find high on the lists of major music magazines. Neko's voice is as impressive as always, but with much more poppy songs than her previous alt-country/folk work. I greatly prefer Fox Confessor Brings the Flood, but obviously also enjoy this album. Best song is "Magpie to the Morning". 8. 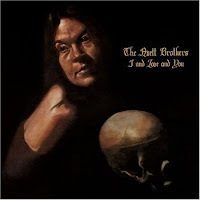 Avett Brothers- I and Love and You. Paste ranked it the #9 album of the decade. Is it that good? Of course not, especially since we have only had four months to digest it. It is a great album though, highlighted by terrific songwriting. Most people are hearing the Avett Brothers for the first time with this album, and if that is the case, they really have no idea what the band is all about. Most of the energy of the band is lost, and one of their primary instruments on all of their former releases, the banjo, is mostly gone in favor of the piano. These aren't necessarily bad things, but for a bluegrass band, it is most definitely a new direction. 9. 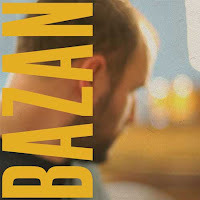 David Bazan- Curse Your Branches*. I read more interviews with David Bazan in 2009 than any other artist. He is very outspoken about what he thinks and believes, and more so now than ever. Do I identify with the lyrics on this album? No. Do I agree with them? No. Are they well written? Yes. Are they honest and thoughtful? Yes. And musically, this is by far the best work David Bazan has ever released, possibly challenged by Pedro the Lion's Control. 10. Tegan & Sara- Sainthood**. High-energy, fun, melodic female-fronted rock. These twin sisters continue to improve and diversify with this, their 5th LP. 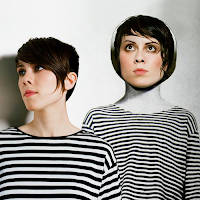 Their third album, So Jealous, contains the best songs of their career, but with their last album, The Con, and now with Sainthood, they have really branched out artistically, experimenting with different song styles and structures and diverse instrumentation. First three albums were guitar-driven, and mostly acoustic. For these last two albums they have added electronic elements, synths, and on this album, their crunchiest guitars to date. "Hell," the single from the album, is very catchy, but the highlight for me is the 2-minute pop-punk song "Northshore." 11. Camera Obscura- My Mauldin Career*. Another band who has been around for awhile, but did not discover until 2009. Sunny, female-fronted melodic rock. Best song: "Swans". 12. Phoenix- Wolfgang Amadeus Phoenix*. As I'll mention later in this post, the most critically acclaimed album of the year. I just got it recently, and it is better than I expected. The highlights for me are the 6-minute instrumental "Love Like a Sunset" Part I and the 2-minute vocal driven Part II. 13. Silversun Pickups- Swoon. Apparently this band is popular? I had no idea who they were until a few weeks ago, and they are impressively good for a band with mainstream popularity. I caught their MTV unplugged set recently on an HD channel and it gave me a greater appreciation for them. Unfortunately it sounds like the singer is trying to sound like Billy Corgan. 14. Sleeping at Last- Storyboards. Productive yet largely unknown Chicago two-piece. 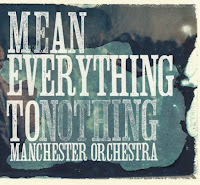 They reached their peak with 2006's Keep No Score, meshing beautifully guitars and orchestra. Unfortunately mellowed out for this one, but it is still beautiful. Band released album digitally in July less than a week after its completion. That included an immediate mp3 download and they shipped out CDs a few months later, all for only $10 including shipping. Oh, the joys of no record label. 15. Isis- Wavering Radiant*. Another band who has been productive for awhile I finally took the chance on. Very heavy yet melodic post rock with metal-esque vocals. 16. St. Vincent- Actor*. Honestly, I just haven't listened to this album enough. Outstanding, eclectic pop by Annie Clark. 17. Swell Season- Strict/Joy**. Once's Glen Hansard and Marketa Irglova are back with their 2nd collaborative LP. Good, yet lacks the fun and passion of their original album. Unfortunately the end of their romantic relationship causes this album to suffer; I personally find it mind-boggling that they are still able to record and perform together. 18. Built to Spill- There is No Enemy*. Another great, consistent guitar record from Doug Martsch and company. Not their best, but better than their last. 19. Old Canes- Feral Harmonic*. Impressively good original, unique folk album from the Chris Crisci, the frontman of Appleseed Cast. His second Old Canes album, but this one blows the debut out of the water. 20. Neon Horse- Haunted Horse: Songs of Love, Defiance & Delusion. The second LP from this "mystery" band, far better than the first. They try to stay anonymous, but most everyone knows by now it is Mark Salomon on vocals and Jason Martin on guitar. 1. Stavesacre- Against the Silence. Band has been barely active over the last few years, but they came roaring back with their most aggressive music since 1996's Friction; and their best music of this decade. Jeff Bellew rejoined the band and added new energy to this EP and their 2009 live shows. Unfortunately this could be the end? Dark Was the Night*. Incredible compilation album, probably the best of the decade. Compliation albums became obsolete for me in the digital age, with the exception of the random tribute album. New, otherwise-unavailable tracks from Arcade Fire, Spoon, Ben Gibbard, Sufjan Stevens, Cat Power, the New Pornographers, and many more. 29 songs, and they are all good. Gomez- A New Tide. I really enjoyed the last Gomez album, but this one was largely a disappointment with the exception of the awesome song, "Airstream Driver." 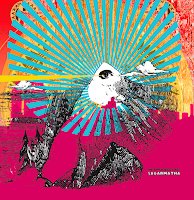 The Flaming Lips- Embryonic*. Good, but honestly I don't have much to say about it. Doesn't really grab me. A.C. Newman- Get Guilty*. Another fine album, but unlike his terrific work with the New Pornographers, these songs are just OK.
Thao with the Get Down Stay Down- Know Better, Learn Faster. Critics love this album, but I don't get it. I did really enjoy Thao's last album, but on my initial listen the lyrics were a big turn off for this one. If you are a 20-something year-old female whose boyfriend just dumped you, you might like it. But as a 33-year-old married father of two, I just can't relate. mewithoutYou- It’s all Crazy! It's All False! It's All a Dream It's alright*. Band definitely branched out and tried some weird stuff with this one, but I wish they hadn't. I loved the guitars and angst of their other work, and it is all gone for this quirky, strange folk album. I'll explore it again someday, but right now I would much rather listen to Brother, Sister. Waterdeep- In the Middle Of It. My wife is a big Waterdeep fan, me just a little. I love Lori Chaffer's voice, but dislike Don's. Anyway, we haven't gotten this album yet, but probably will soon. Would love to hear some thoughts if anyone has heard it. Yeah Yeah Yeah's- It's Blitz! I have ordered it, but haven't gotten it yet. I am excited about it, although I have never heard any of it. 2009 was apparently the year of the reissue. As you will see below, half a dozen of my favorite albums of all time were re-released on vinyl, or pressed on vinyl for the first time. I will show the artwork and explain the contents of each album soon on my new Buy Vinyl blog. 1. Sunny Day Real Estate at Center Stage in Atlanta. I was going to make a list, but unfortunately this is the only show I saw last year. I could have seen 100 though, and it would have still been #1. Mind-blowingly good.